The eSS tool provides support to the supervisory staff in various levels, in planning their visits to the facilities, analyzing the status of facility, developing plan of action after the visit, delegating the actions and disseminating the observations and assessments after the visits in facility and community interaction. 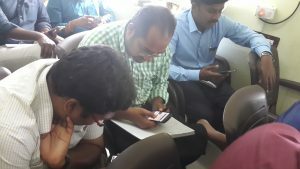 A large scale web and mobile application called e Supportive Supervision – with multiple users at national level and in the pilot rollout in 4 states (Chhattisgarh, Tamil Nadu, Telangana, and Uttar Pradesh) – was developed to do away with the problems associated with paper-based data collection. However, the personnel conducting the supervision were not fully conversant with the technology to leverage its full capacity to improve health worker performance and service delivery. SDRC facilitated national and state level workshops for officials from the Directorate General of Health Services, National Health Mission, National Health Systems Resource Centre, Development partners, and other government supervisors. 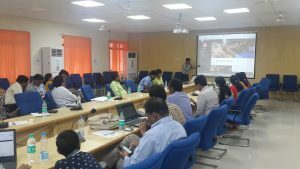 These workshops had mock displays of the software and demonstrations of the checklist entry, where the users learnt how to effectively navigate the software and fill in the checklists. A Q&A session followed to resolve the issues faced by the users. The various levels of users included Medical Officers, Medical Officer in-Charge, Medical Superintendents, Welfare officers, Health officers, Program managers, Nurses, Lab technicians, Pharmacists, ANMs, ASHAs, etc at the state level workshops. At the national level, users included Additional Secretary & Mission Director, Additional Secretary, Assistant Commissioner, Chief Director, Deputy Commissioner, Deputy Director, Deputy Nursing Advisor, Deputy Secretary, Director, Economic Advisor, Joint secretary, Nursing Advisor, Secretary, Under Secretary, from Ministry of Health & Family Welfare. SDRC is supporting John Snow India for Supportive Supervision Software for RMNCH+A Checklist to track health sector initiatives. 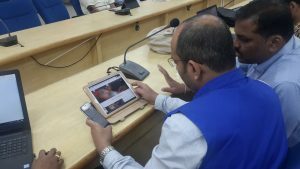 The system shall enable real time visual and quantitative data about various RMNCH+A initiatives up to the facility level. The tools shall enable immediate feedback to the frontline workers as well as to program managers, implementers and policy makers. Besides, it shall offer multi-tenant, role based functionality to enable quick scalability and thus reduce the cost of deployment, implementation and capacity building. The system offers a "one stop" dashboard to be available online, offline as well as on mobile platform. The portal shall collate data from multiple sources and enable decision makers to identify hotspots and trends at an aggregate level as well as facility level.